Ahead of his performance tonight at The Simi Valley Cajun and Blues Festival, I got the chance to ask legendary Rock and Roll Hall of Famer, Eric Burdon a few questions. 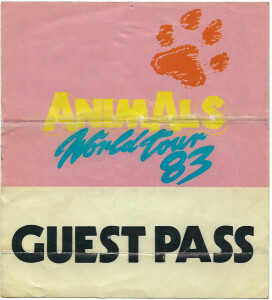 I have to admit, I’m an unabashed fan of both Eric’s singing, and the music of The Animals. I could probably go on for pages and pages, but he’s performing tonight at 4:45pm and I have to rush this to press ahead of time. Suffice it to say, I’ve followed the man and his music for decades, and he never fails to deliver a solid performance. At 75 his vocals are great, and he has an aura that can barely be contained on the stage. The Animals were formed in early 1962 in Newcastle Upon Tyne, UK as a continuation of The Alan Price Rhythm and Blues Combo which was formed four years earlier. So technically, the band has been around in one form or another for going on almost sixty years. Talk about longevity, but no band can exist for that long without its share of controversy, and there has been plenty. Pete Townshend of The Who recently recounted how he “had to be talked into attending” the Monterey Pop Festival back in 1967, where the lineup was so legendary, Janis Joplin was signed on the spot by Clive Davis who was there looking for new acts. 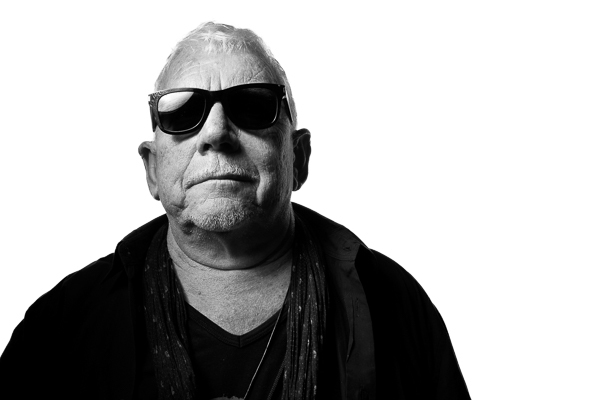 There’s no denying the impact that Eric Burdon has had during his time. Ivor Levene (IL): It seems you’ve always preferred the more intimate venues, do you feel more connected to your audiences? Eric Burdon (EB): I do like a venue where I can feel the hot breath of the audience and we’re all sweating it out together. The heartbeat of the audience matching the rhythm of the band. It is a more intimate experience that way. I like any gig where I can hear myself and feel a connection to the band and to the audience. (IL): You’re touring with an all new band. Do the rest of The Animals have a hard time keeping up with you at 75? (EB): The band I have with me now is comprised of young, very energetic and talented guys who have no problem keeping up with me. It’s good to have that kind of energy around you to draw upon. (IL): 75 is an amazing age to be performing at, especially for a vocalist. Even Mick Jagger hasn’t hit that mark, how do you do it? (EB): There are still a bunch of us out there performing at 75. Dylan, Ringo, McCartney and I all share the same age. Our heroes kept going well beyond that number in many cases. As it turns out, rock and roll, like blues and jazz, doesn’t have a required retirement age. I am fortunate enough to have this gift of my voice. It’s what I was given and I plan to keep using it as long as it lasts. (IL): Tell us about your new band. (EB): As I mentioned, they’re young guys, but they all have depth as musicians. 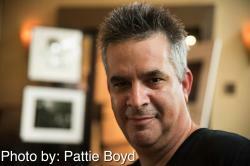 Our keyboardist, Davey Allen and lead guitar player, Johnzo West are excellent solo artists in their own right. I have Dustin Koester on drums, Justin Andres on bass, an excellent horn section, with Evan Mackey on trombone and Ruben Salinas on sax. All of them share a love for roots music and know their way around the blues. (IL): Any plans to record? Perhaps a live album? (EB): I am sure that this configuration will lead to an album, whether it’s done on the road or back in the studio after we’ve toured together a bit more. In fact, we started out together in the studio. Even before we were properly introduced, we were playing music together. The sound I heard pleased me greatly and we were recording from the very first day I auditioned them. I’m very eager to return to the studio with them. While on the road in Australia the shows were recorded so there may be a live album already among these recordings. (IL): Did the drugs ever become more important than the music? (EB): Music is my #1 drug of choice. My religion. My belief system. Music is beyond family, and beyond politics, even beyond love itself. Music is beyond everything. So to answer your question, the drugs were never more important than the music, but they definitely were a part of the process. (IL): Who do you listen to today? (EB): I recently picked up a new turntable so I’m enjoying lots of the records I’ve always loved. It’s good to hear them as they were intended to be listened to. So, Ray Charles, Rahsaan Roland Kirk, Muddy Waters, Big Bill Broonzy, Chuck Berry, Little Richard, James Brown, Big Mama Thornton, Aretha Franklin, Mose Allison, all the usual suspects. Among the newer musicians, I listen to Ben Harper, Alabama Shakes, Calexico. I loved Amy Winehouse. (IL): Do you think that the Vox keyboards were an intrinsic part of The Animals sound, or would the music have worked as well with say an “Ian Stewart” kind of sound? (EB): Alan was one of the best piano players, but when he switched from piano to Vox keyboard, the magic evaporated. The instrument sounded like me having one of my asthmatic attacks. Lots of wheezing. (IL): Given that Alan Price was given sole songwriting credit on “Rising Sun”, do you ever think about that when performing it? (EB): I can’t help but think of that on occasion, but never when I’m performing. I gave up being angry long ago. There is no point in holding on to it. The minute the band begins the first chord, any sorrow and anger disappears and I’m back in the moment with the song. (IL): How did anyone end up with credit for the song? Wasn’t it one of these “traditional arrangements”? (EB): A traditional song doesn’t remain in public domain for long. Once it’s rediscovered and adapted with a new interpretation, then it generally belongs to the person who created the new arrangement. If you ask me, it should have been between Hilton and myself but it just happened to go to Alan, who reaped the benefits of a #1 hit record. (IL): There has been some contention over the years regarding the name of The Animals, and I’ve heard various stories regarding the band’s naming. What’s the real story? (EB): We had a friend, a fellow Geordie, by the name of Animal Hogg and he was living out in the wild with his faithful dog. He was the de facto leader of our gang known as The Squatters. We would take out on the country side during the weekends to join him and sit around bonfires at night, telling stories. We named ourselves in honor of his free spirit”. There have been numerous lineup changes, disputes over royalties, ups and downs partially due to rampant substance abuse, and some stellar performances dating back fifty years. (IL): Did Alan really leave the band in ’65 because of fear of flying, or was it because he didn’t get on with the rest of the band? (EB): He complained that he was afraid to fly but the truth is that the minute he received his first check for HotRS [sic], he didn’t need to travel anymore. That’s when he left the band. (IL): What was it like being in business with Mickie Most? (EB): He did bring us some good songs. (IL): Do you think the early Animals work was recorded poorly or with too much echo? It sometimes sounds like the recordings were done in a concrete room. Was this intentional? (EB): All of the Animals early records were done in one take. We went out of our way to keep the distortion just as it was. The studios we used were not state of the art by today’s standards but the recordings stand the test of time and you can’t really argue with their success. People use all sorts of plug-ins today to try to achieve that kind of sound. (IL): Do you ever give any thought to “the last man standing”? After all, you are one of the five official British Invasion bands (The Beatles, The Stones, The Who, The Kinks, and The Animals). My prediction is that you will outlast everyone. Will you? (EB): It’s not a race to the finish line. I’m happy that I made it past 27, when I lost too many of my friends. In fact, I wrote a song about it on my latest album, ‘Til Your River Runs Dry. Truly, at this point I’m just enjoying every day of living and I’m glad that so many of my peers are enjoying the ride, as well. This entry was posted in Events, Interviews, Miscellanious, Music, Upcoming Events and tagged Classic Rock, Eric Burdon, The Animals. Bookmark the permalink. I am 62 years old and have no clue how I missed the Eric Burdon bandwagon. Thank God for YouTube and the Internet. Thank you Eric Burdon for giving me something too rock about other than a chair!